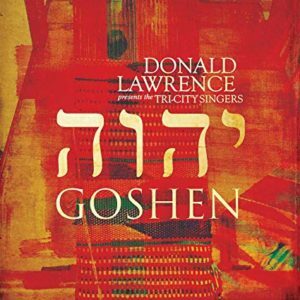 Using Old and New Testament stories to reinforce the need for a spiritual exodus from modern-day anxieties, Goshen, the latest album by Donald Lawrence and the Tri-City Singers, is the first big gospel release of 2019 and could well take its place among the best gospel albums of the year. Goshen, taken from references in Exodus of “God’s promised place” where one can find joy in the midst of troubled times, is a compendium of worship songs, declarations of personal empowerment, rages against the machine, and shouts of ultimate victory, through God, over personal pain. What struck me immediately about this thematic project is how steeped it is in musical theater. Like Thomas Dorsey did ninety years ago, Lawrence employs theatrical techniques to tell the story. He studied musical theater in college and uses his learning to maximum impact on Goshen. 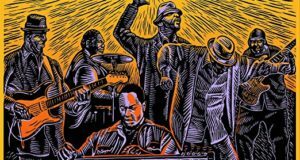 For example, the spotlight shines on the complex “Let My People Go,” on the toe-tapping beat of the title track, and on the cacophony of voices and samples of the Rev. C. L. Franklin lining out “I Love the Lord, He Heard My Cry” on “He Heard My Cry.” Lawrence’s dramatic exhortations preceding many of the songs puts me in mind of the Reverend James Cleveland and his penchant for setting up a song with a sermonette. It’s a technique Cleveland likely learned from Eugene Smith of the Roberta Martin Singers who may, in turn, have learned it from the Reverend Glenn T. Settles of the Wings over Jordan Choir. 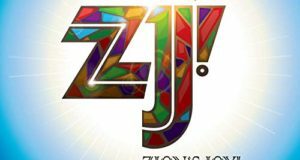 The lush, cascading harmonies emblematic of the Tri-City Singers are on full display during the melodic “Jehovah Sabaoth (God of Angel Armies).” The song is rendered in turns gently and demonstrably by lead singer Brittany Stewart. This austere and breathtakingly beautiful hymn oozes with the influence of songwriters Richard Smallwood, Andrae Crouch, and Kirk Franklin. NPR Tiny Desk champions Tank and the Bangas join the ensemble on “Let My People Go,” the album’s most explicitly political selection. It likens wage inequality, human trafficking, racial prejudice, police brutality, the corporate power elite’s mistreatment of its employees, and other forms of systematic oppression to how Pharaoh treated the Hebrew slaves. Everyone is equal under God, the ensemble sings, with the line “you cannot box with God” a sly reference to Alex Bradford’s gospel musical, Your Arms Too Short to Box with God. Goshen is a majestic musical portrait of the struggle to break free from personal suffering in all of its manifestations, and an ode to the soul’s ultimate victory through holding on, with confidence, to God’s unchanging hands. I love me some Donald Lawrence. The moment I heard he had a new album I ran and bought it, having heard only one selection – the one with Le’Andria. For me he is a sure thing…I pause. I still feel this way. His gorgeous hymn-like song, “God Of Angel Armies” has stayed in my spirit. It’s like glue. Aside from that song and perhaps the one Le’Andria sings, the others leave me at a distance. I…I can only see them. They’re visual. I mean…I can see them but as I try to feel them…it’s only…for a few moments and then…I see them at a distance again. I realize we – church folk, can’t remain in the past. Life changes…we change…I know that. Our music must change too. I get it. But I used to feel gripped…by our precious music handed down from our sacred ancestors who had nothing to depend on but God. 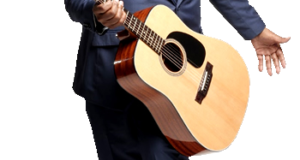 Today when I hear these songs and I love me some Donald Lawrence, it feels that Donald is after an audience that needs to be entertained and tickled for the moment. Sorry Donald. I long for something that is not bells and whistles but rather stripped down and heart felt and convicting. When did it become sinful to write gospel songs that could be sung by a church choir? When? And why is it considered wrong to do that these days? Perhaps, as one reads my opinion you sense that I am frustrated not only by Lawrence but by the vast array of gospel composers these days. Hey…I have stopped listening to most gospel music because I complain so much in my spirit. I made me take a break. Look…sometimes less is more. Although, I think the lyrics are personal and gripping. They have a newness to them. They’re poignant. But the musical acrobatics around the lyrics keep me at such a distance although the reviewer says the project is a “majestic musical portrait of the struggle to break free from personal suffering in all of its manifestations”. I…I paused…because there are no gospel composer left that I feel safe with anymore. All of them have to worry about their bottom line…green with numbers. I get it. As you all go forward…I wish you the best…I will be left behind.